I only have one old bear. I got it in 2005. And it is one of my favorite bear! this is cookie dough, my only bear. i got her from my gs troop in 2005 so i am positive they do not make her anymore. but they do still have that outfit. i got him from winter..last 2 december..i think..but anyway i got him in the winter 2005..and his name is Max and he is my favorite bear! he is a vanilla bear! I just started getting build a bears this year.... It all started with the white purincess cat my mom bought in ebay for me because it was no longer in the store. Now I am totally addicted with 20+ animals! I love build abear and the blog is so helpful! Here's Curly Bunny and the Original White Tiger. 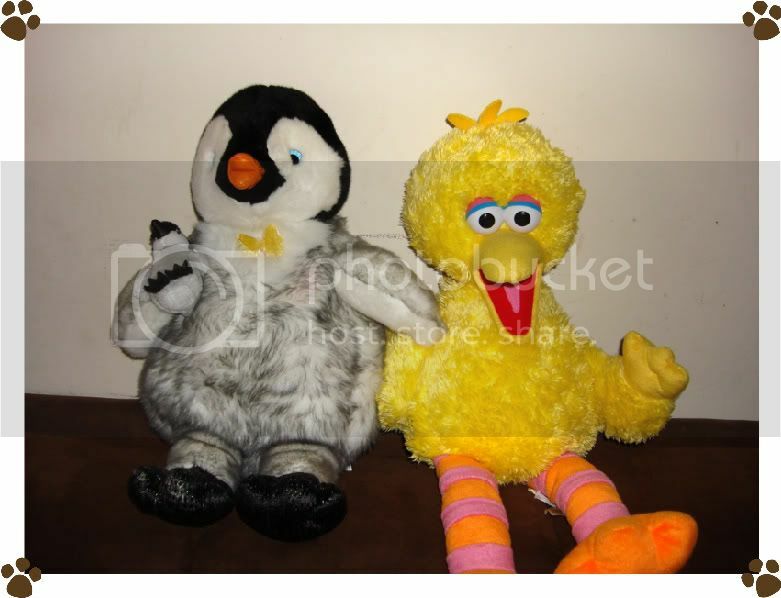 I also found Mumble and Big Bird but I'll let her post those in her thread. I want to post Mumble and Big Bird here because they can't be brought to life online either. hey if they make happy feet2 they might have a different mumble for babv! It is not fair! I have this really rare that I got when I was a baby but I can't seem to upload the picture. Sorry. oh i have mumble!!! Penguins are so adorable! I have only 3 retired ones: mumble, sassy kitty, and a ginger cat that is similar to the tabby kitty, but not quite the same. Last edited by sushirox336; 09-13-2008 at 03:34 PM..